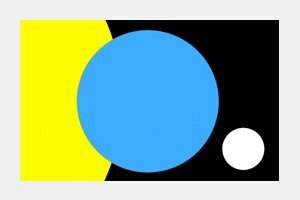 DesignHow does this "International Flag of Planet Earth" compare to those in science fiction? If our planet had an official flag, what would it look like? 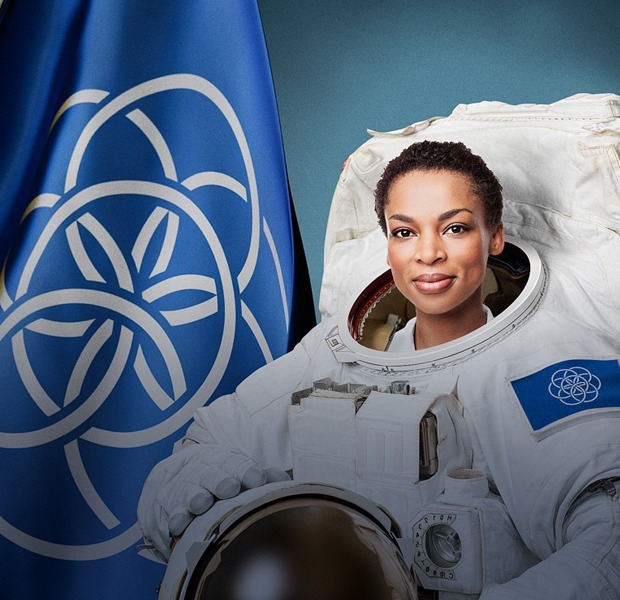 We compare a Swedish design student's popular proposal with fictional Earth flags. 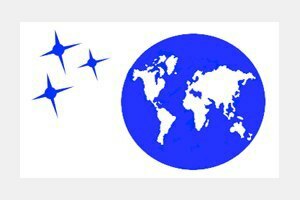 If Planet Earth had an official flag, what would it look like? In our galactic explorations, we have always used country flags to identify ourselves when setting foot on new territory, yielding the famous (albeit contested) photographs of the moon landing with an American flag attached. 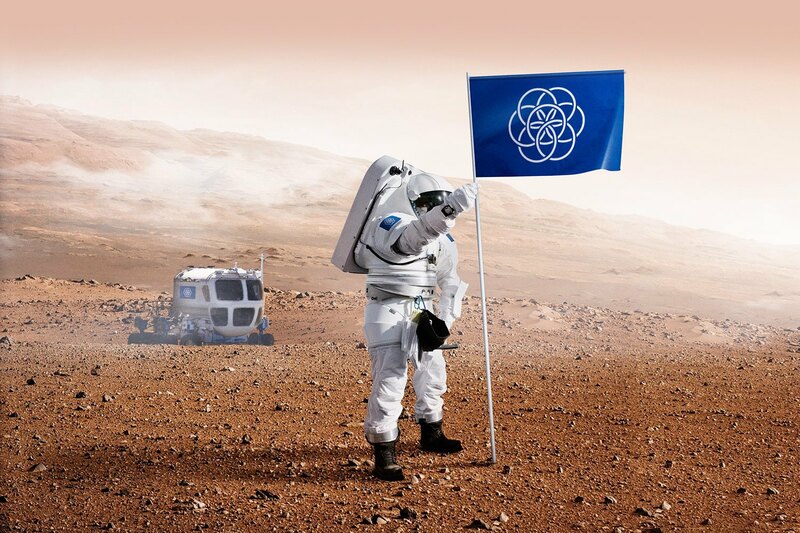 With the fast approaching possibility of civilizations on Mars by 2025, design student Oskar Pernefeldt has proposed an International Flag of Planet Earth for his graduate thesis at Beckmans College of Design in Stockholm, Sweden. The flag depicts a blue background, with seven rings interlocked together. 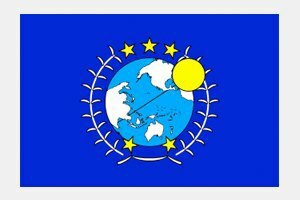 This is not the first time Earth has been given a flag. For science fiction writers and cartoonists alike, Earth has already had many neighbors in the universe for quite some time. Here is a list of some of the designs for a fictional international flags of Earth. Did we miss your favorite? 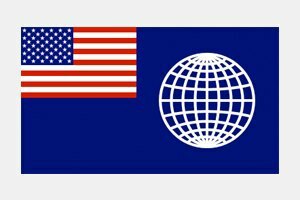 The flag of the fictional United States of the World, according to the book Commander 1 (1965) by Peter George. The Earth's Flag from the animated TV series is shown on The Leela Zone Futurama fansite. 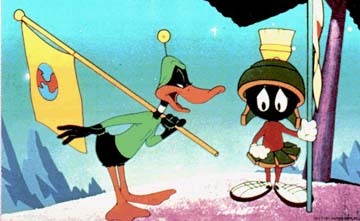 The flag for Earth which appears for Duck Dodgers in the 24 1/2th Century. 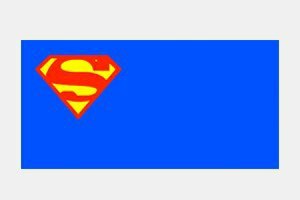 This flag appears in a DC comics spin-off where Superman rules the world. 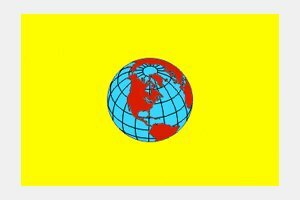 The flag for the Federated Union of Earth, or the UN Style organization in Gundam. The Allied Nations flag in Street Fighter. 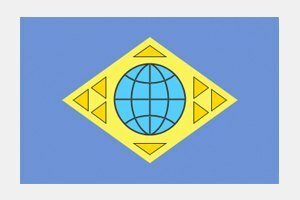 The Earth Federation flag from cyberpunk anime Armitage. The flag for a future United Nations of 2063 in the 90's American Sci-Fi, Space: Above and Beyond. 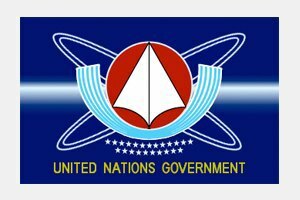 In science fiction mecha anime Macross, this is the UN Government's flag. 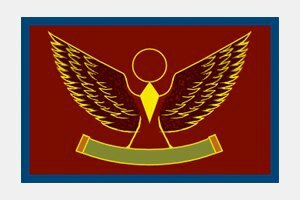 The United Earth-Sphere Alliance flag in another of the Gundam spin-offs. 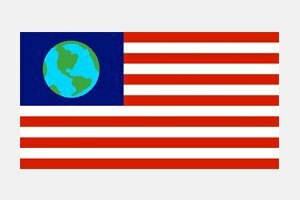 Designed by James W. Cadle, this flag is popular amongst the researchers of Search for Extraterrestrial Intelligence (SETI). 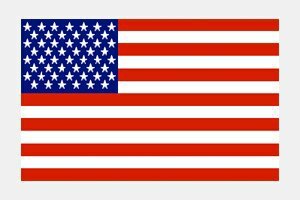 A fictional flag from the Star Trek: Next Generation TV series was the 52 Star US flag. a part of the graduation project by Oskar Pernefeldt, 2015.